The U.S. Supreme Court on Friday said it will consider whether redrawing congressional district lines to favor political parties can be a constitutional violation. The court will hear cases from North Carolina and Maryland, report the New York Times, the Washington Post, the Wall Street Journal and USA Today. The North Carolina remap benefited Republicans while the Maryland map benefited Democrats. The Supreme Court has never decided whether electoral maps can be struck down because of partisan gerrymandering, though it has overturned maps that were designed to reduce the influence of minorities. Election law experts see the addition of Justice Brett M. Kavanaugh to the court as harming the chances of a ruling against partisan gerrymandering, according to the New York Times. But Kavanaugh didn’t have occasion to consider the issue when he was an appellate judge, the Wall Street Journal points out. 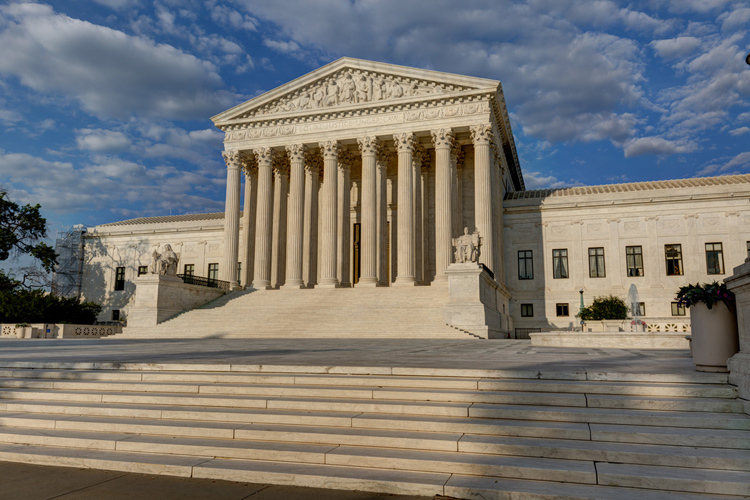 The Supreme Court sidestepped the constitutional issue in the Maryland case in June when it agreed challengers weren’t entitled to a preliminary injunction blocking the new district lines, partly because they waited six years before seeking the injunction. At the same time, the court said plaintiffs in a Wisconsin partisan gerrymandering case had not proved standing. Both cases were remanded. The Maryland case, Lamone v. Benisek, had contended a 2011 redistricting that targeted a Republican in the 6th Congressional District had violated the First Amendment. In November, a special three-judge panel agreed, finding violations of the right to political association and representation. A week after the Supreme Court remanded the Wisconsin and Maryland cases, it sent the North Carolina case back to the lower court for reconsideration of whether the plaintiffs had standing. The 2016 North Carolina remap helped Republicans, who prevailed in 10 of 13 districts after it took effect. Yet Republicans received only 53 percent of the statewide vote. In August, a special three-judge panel found standing and ruled that the North Carolina partisan gerrymander violated speech and associational rights. The case is Rucho v. Common Cause. SCOTUSblog’s case page for Lamone v. Benisek is here, and its case page for Rucho v. Common Cause is here.